One definitely feels the island welcome starting with the “Aloha,” spelled out in blue tiles on the white tiled floor, as you enter or leave the restaurant. 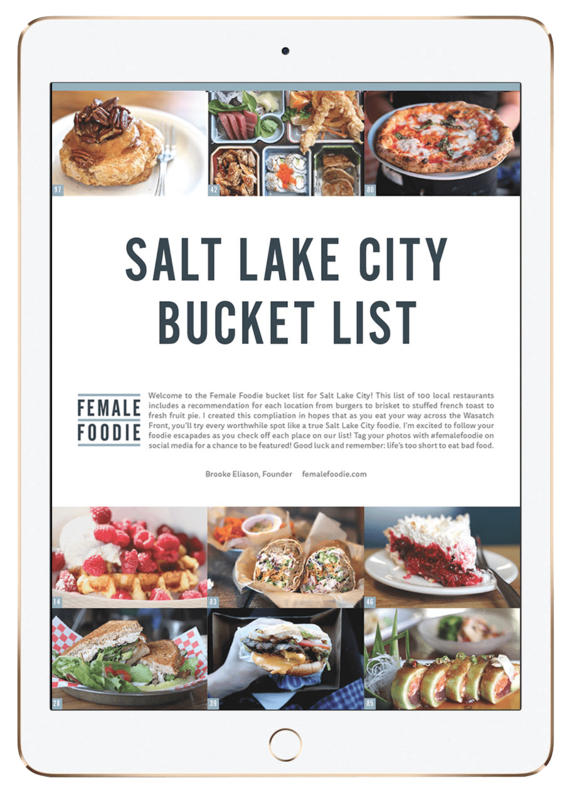 Try to snag a reservation before you arrive or the wait could be long during peak hours. 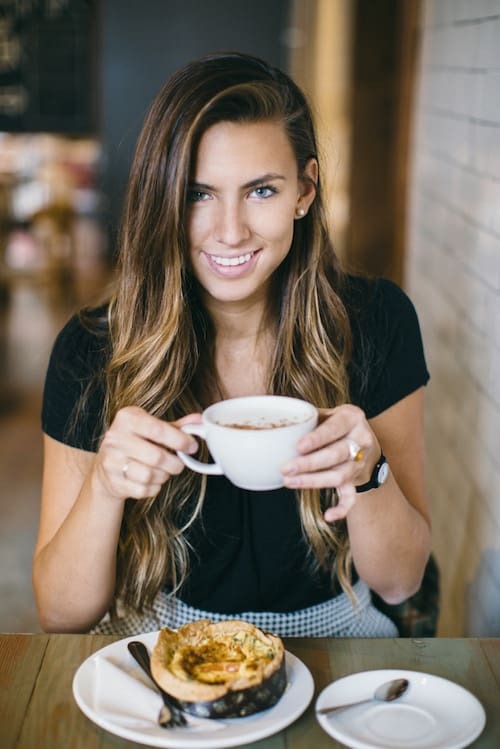 My party of 5 had a reservation made weeks in advance and was seated in a booth with a prime view of the open kitchen where Kapur worked his magic. 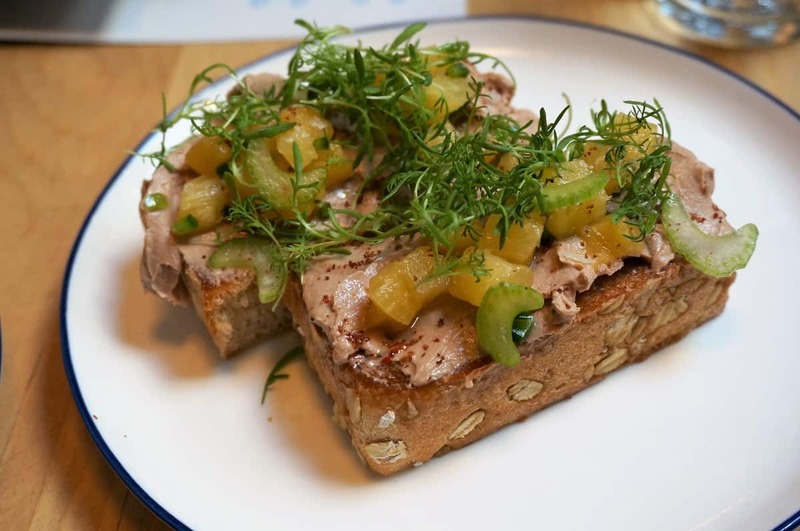 Our meal began with the duck liver toast with jalapeno and pickled pineapple – a combination of sweet, savory and spicy flavors. 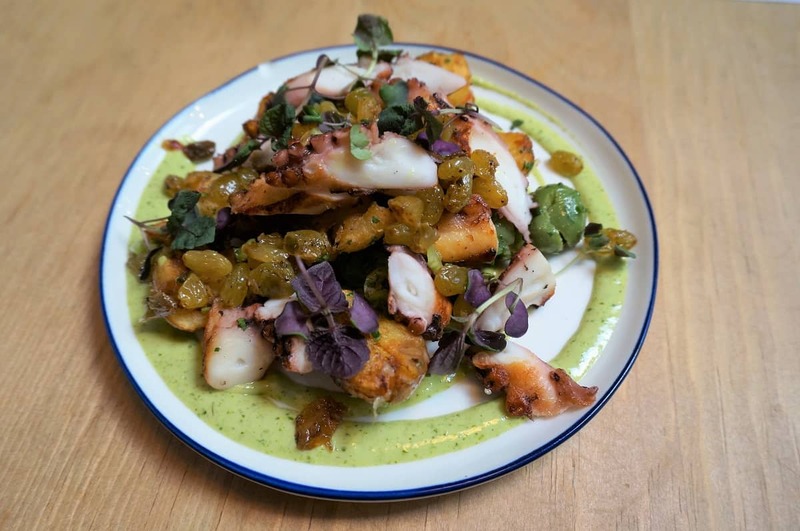 Next came one of our favorite dishes – perfectly roasted octopus with curried raisins, castelvetrano, butterball potatoes, and fresh coriander. 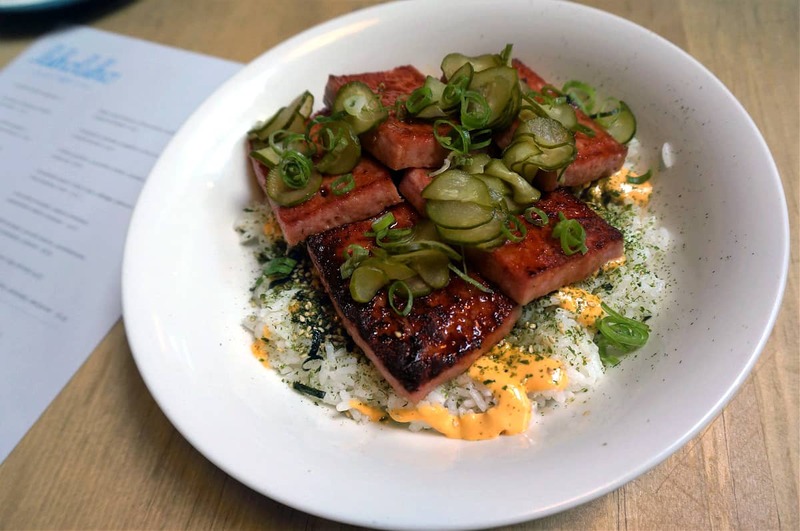 Another favorite dish was the Hawaiian comfort food of homemade spam and rice with furikake from LYC’s not-so-secret menu. LYC also has a spam fried rice with bay shrimp and abalone mushrooms on the menu, but we didn’t try it. 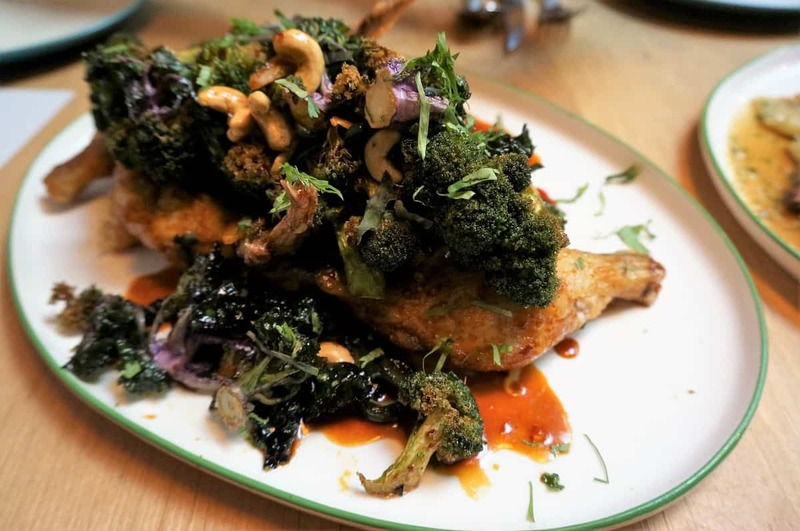 For the larger dishes, we loved the tamari glazed fried cornish game hen with broccoli, flowering kale, and cashews. The skin of the game hen was crispy while the meat was flavorful and moist. 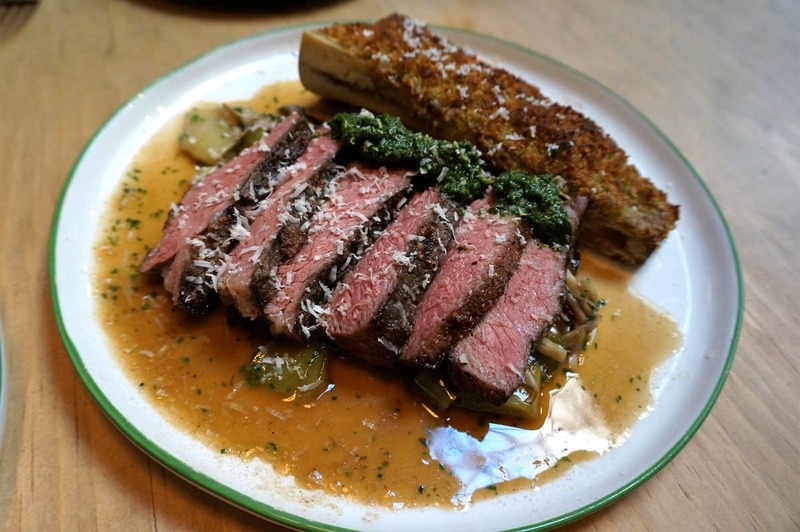 Another large plate that we shared was the grilled shortrib paired with bone marrow baked with escargot and breadcrumbs, but we were getting full by the time the dish arrived. 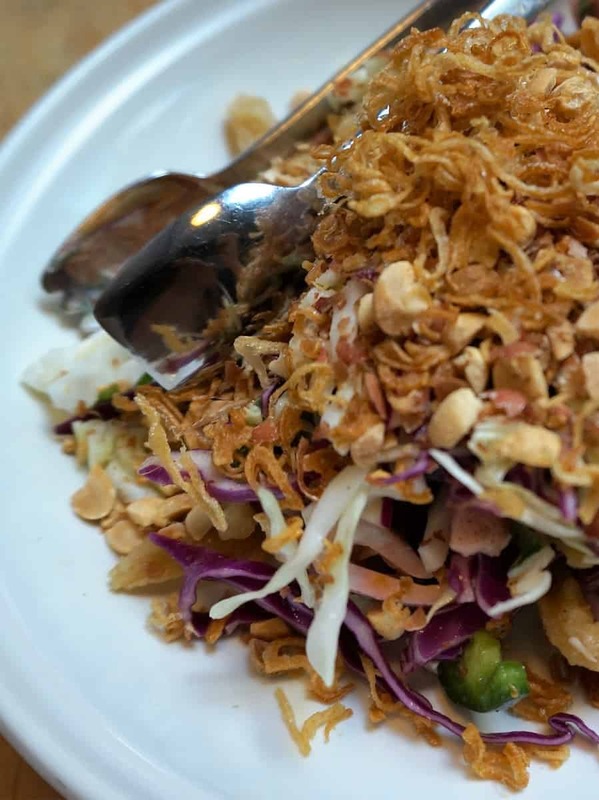 The only dish that we wouldn’t get again is the marinated squid with crispy tripe, cabbage, and peanuts because the dish seemed to have mostly crispy tripe rather than marinated squid. 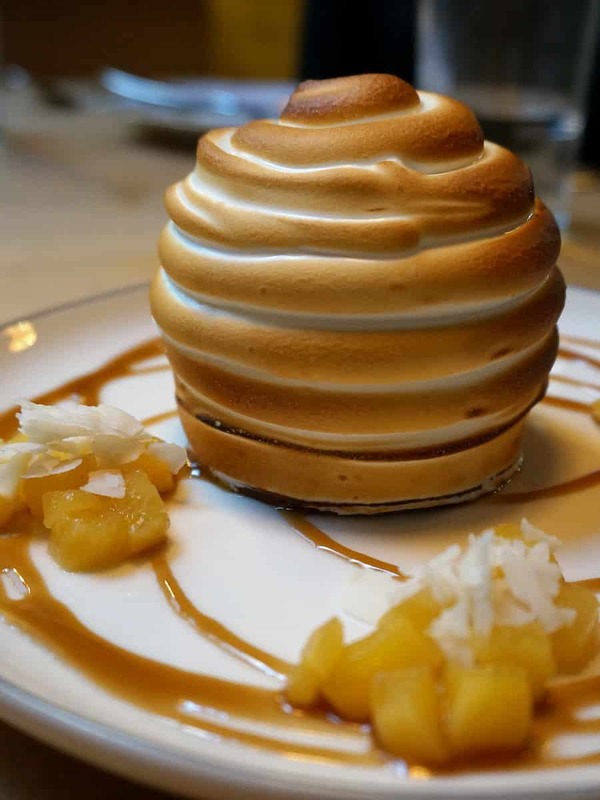 For dessert, the baked Hawaii with caramelized pineapple ice cream and vanilla chiffon is their signature dish. The size was good for our group to share, but may be too sweet or rich for only 1-2 people. Earlier this summer, LYC also opened in its basement Louie’s Gen-Gen Room, a reservation-only bar that serves tropical cocktails and a separate bar bites and waffles menu.